Bob has been listing and selling Sea Pines properties since 1973. Few people know Sea Pines as well as Bob. He is a third generation Sea Pines property owner and began visiting Hilton Head Island in the early 1960s when his parents brought the family down from Summit, NJ. They fell in love with the island and Charles Fraser’s vision for the nation’s first planned community. They bought their first property in Sea Pines in 1961, followed by his grandparents who bought in 1964. 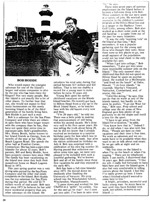 Beginning in the 9th grade, Bob worked for the Sea Pines resort during his summer vacations. In college he began working for Sea Pines Real Estate and knew immediately that it was his passion and calling. Born on a farm in Pomfret, Connecticut in 1949, Bob’s family moved to Birmingham, Michigan the next year. Eight years later, the family moved to Summit, NJ for Bob’s father’s job on Wall Street. He attended the University of Vermont and played four years of varsity hockey during which they won a national championship. In 1973, Bob returned to Hilton Head to work full time for the Sea Pines Real Estate Company in the Harbour Town office and quickly became one of the company’s top agents. He remained with Sea Pines until 1984 when Charles Fraser sold Sea Pines Company. 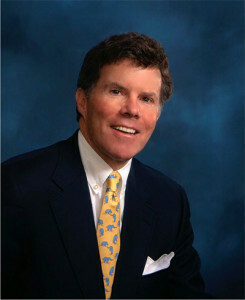 At that time he opened his own real estate company, Hodde Real Estate, Inc. – specializing in Sea Pines properties. Bob has been married to Hester since 1983. They have two children, Hester (living in New York City) and Will (living in Austin, TX). He loves running, biking, boating, and tennis. In the summer and fall, he enjoys hiking and biking in the Blue Ridge mountains and in the winter he loves skiing in Utah and Colorado. His greatest passion is real estate. He loves houses and their architecture, floor plans, setting and location. He understands what constitutes good long-term value. He knows that real estate is one of the most important asset a person can own. He values a close, personal relationship with his clients and they usually become lifelong friends. That is one of reasons he’s been one of the most successful real estate agents on Hilton Head for over 40 years. Bob chose to specialize in Sea Pines properties because of his expertise in the development history of Sea Pines Plantation. Few agents have lived here and been part of real estate development in Sea Pines as long as he has. He can give answers to buyers’ questions about the history of a neighborhood or specific property and how it relates to past, current, and future values. This kind of perspective cannot be found in any literature but comes from over 40 years of experience. Bob has been one of the most successful real estate agents on the island since 1973 because of his integrity and his desire to find the very best property for the client – a property to be enjoyed in the present, yet holds its value in the future. The proof is that 90% of his business has come from his client’s referrals.